US-Germany 'Failed Marriage': Bringing Back Gold After Divorce? 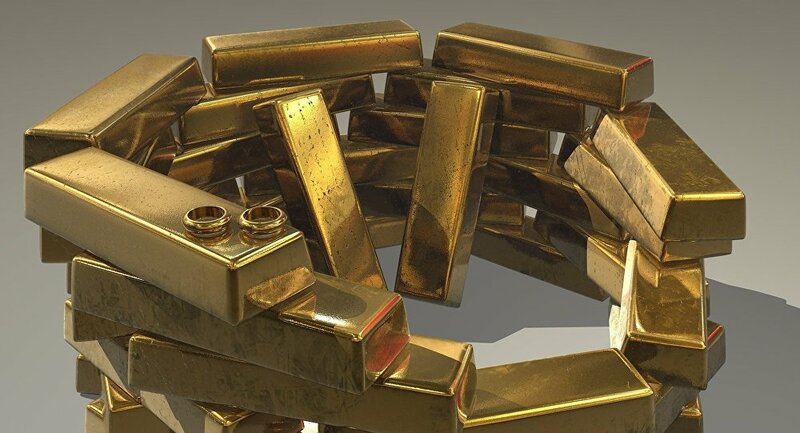 Commenting on recent reports that Germany has repatriated all of its gold kept in Paris and a third of its reserves in the US, and the pledge to remove US nuclear weapons from its territory, Russian economist and financial analyst Ivan Danilov suggested that it looks very much like dividing the shared property after a divorce. Germany's central bank, the Bundesbank, has recently announced that it had completed an initiative to bring half of the country's gold reserves home three years ahead of schedule, through the repatriation of all of its gold kept in Paris and a third of its reserves in the US. Russian economist, financial and political analyst, and author of the popular political blog Crimson Alter, Ivan Danilov, commented on the report, suggesting that it looks very much like dividing the joint property after a divorce. "When this program began, experts were trying to guess the reasons behind it. Some suggested that the Germans wanted to have access to their gold reserves to be able to support a return to their national currency, the Deutsche Mark, in case they needed to," Danilov notes in his op-ed for RIA Novosti. Others, he said, had suggested that the Bundesbank was trying to support the euro. Some also thought that the German authorities were simply trying to calm down the critics who claimed that "Germany’s gold" had ceased to exist. "However the most realistic explanation might be a lot simpler: Angela Merkel has started separating property. If we look at German-US relations like a failing marriage, it looks like Germany is packing up, ready to make an exit," the blogger says. Adding weight to the idea is the recent promise of the leader of Germany’s Social Democrats (SPD) Martin Schulz to have the US to withdraw its nuclear weapons from German territory if, against the odds, he defeats Angela Merkel in the upcoming federal elections. Countering the argument is the perpetual claim that "Germany is a US colony and will do whatever Washington says." However, the author argues, judging by experience, this is a wrong assumption. He further explains that in recent years Berlin has frequently torpedoed the US’ plans in order to defend its own interests. He cites as an example the construction of the Nord Stream gas pipeline despite objections from Washington. Then, Angela Merkel personally blocked Georgia's and Ukraine's accession into NATO back in 2008-2009, which had been advocated by the US. The German Chancellor's opposition was the major reason why the Obama administration abstained from supplying lethal US weapons to Ukraine under the same scheme employed in Syria. The negotiation on the Transatlantic Trade and Investment Partnership (TTIP), which would have subdued parliaments, courts and government of the EU member states to US corporations, was destroyed by the German political elite. "To understand the importance of these examples, let's suggest what the situation could have looked like if Berlin had really conceded to the Bush and Obama administrations," Danilov says. "Georgia and Ukraine join NATO and the US troops arrive. The Nord Stream construction is halted and the transit of Russia's gas completely depends of the good will of Kiev. A possible embargo on the sale of Russia's oil as a punitive measure for 'peace enforcement' of Georgia or for the reunification of Crimea, which would have hardly reunited with Russia under such conditions," he further explained. The above scenario, he says, is still the mild version of possible developments. Very probably, there would have been a hot war after the attempt of Ukraine and Georgia to join NATO. "Therefore, don't think that German political elites are stupid puppets who completely obey Washington. Sometimes puppets grow claws and fangs, especially when they are eager to live and earn," the blogger says. He further explains why the moves of the German elites are easily understandable. On the one hand, German business, which is the foundation of Germany’s economic might and social well-being, needs to be protected from American competitors and the possible cracking of the European market by American companies. 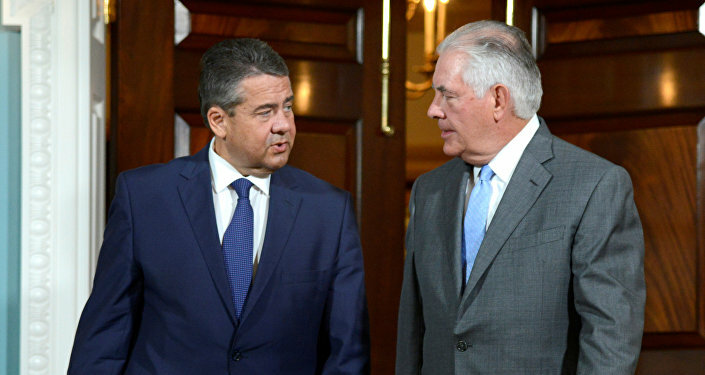 In addition, German business wants to maintain ties with Russia, and retain access to the Russian market and Russia's energy resources even if it means a tough quarrel with the US. On the other hand, it is not only and not so much about the strive for profits as about the lust for life. "Some German politicians might have learned certain lessons of history of their home country and would prefer that the inevitable redrawing of the spheres of geopolitical influence would go without an assault of Berlin by the Russian army," Danilov says. "Such desires of German politicians should be certainly supported. And if for further motivation it is needed to offer Angela Merkel a post in some large Russia's corporation, it could be done. 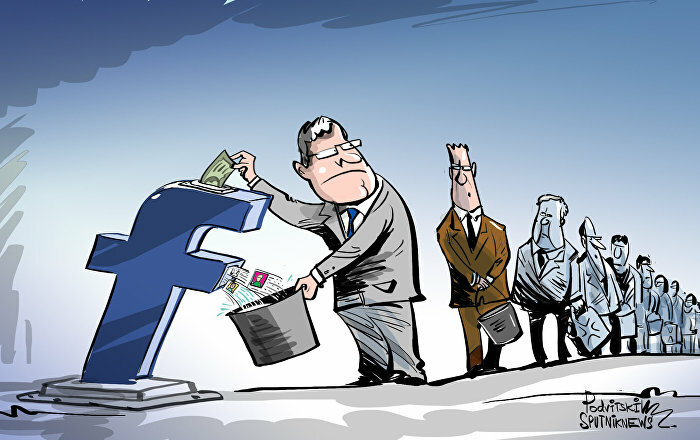 Russia certainly needs high-profile lobbyists," the blogger finally states.